There a few different answers to the question “what is hypnosis?” Have you wondered whether or not you could be placed in hypnosis? There’s no real answer, because rather than being a distinct state, hypnosis describes a variable process that you enter into most of the time. And guess what – it happens all day, every day. The effects that can be achieved with formal, ritualised hypnosis can all occur naturally without any formal ‘induction’ process. All day, you drift into different states of awareness and attention. Some actions are more automatic than others. You don’t think about how to make a cup of tea, but your attention is suddenly startled if you drop the mug on the floor. When considering what is hypnosis, your mind might be closed off to other things going on around you. One moment you’re day dreaming in a reverie, the next you are completely alert. Put simply, your level of consciousness alters all the time. This doesn’t answer what is hypnosis, but it’s a piece of the puzzle. But these are ideas that you should already be familiar with. They break you into the idea that a lot of behaviours could be classified as hypnotic. As you know, the brain has evolved to respond to certain stimuli automatically. Adrenalin kicks in at times of fear and nervousness. You will jump without thinking if a snake or other dangerous animal was suddenly in front of you. If someone calls your name, you startle. These are conditioned responses, some instinctive, others learned through repetitive experience. It makes sense that the mind needs a channel through which to allow stimuli, so it can choose whether or not to respond. The factors that influence the strength of a response are the confidence of the stimuli (e.g. authority, confidence in numbers or repetition), as well as how strong the conscious, critical faculty is at the time. This is the reasoning mind, able to accept or reject stimuli by conscious choice. The critical faculty can be subdued by distraction, relaxation, lack of attention or general tiredness. Suggestion can easily become powerful enough to get to the level where the subconscious simpy ‘believes’ what is being presented, and accepts it. The conscious, critical faculty is bypassed. All subconscious beliefs and ‘programs’ are acted out automatically. If the subconscious has been programmed by hypnotic suggestion to do something, the conscious mind will ‘invent’ reasons to justify it, a process of conscious rationalisation. It is an inbuilt mechanism to make us feel consistent with our actions. The subconscious can compel us to do things all the time, and we don’t realise because our conscious minds glaze over it with rational reasoning. Even if really, it makes no sense at all. A suggestion can easily influence our subconscious, to make us feel compelled to do, think or feel a particular thing. Because of the mechanism of consistency, you may consciously justify doing it. The strange thing, is that despite how irrelevant the suggestion is, you would believe what you were saying whilst justifying it, regardless of how creative or imaginative the reason was. For example, a man as part of a stage hypnosis act is told to pick up his chair upon waking. He is not aware that this suggestion has been given. When asked as to why he did this, he may respond ‘I just wanted to see how heavy it was’, or ‘I am looking for something’. He probably absolutely believes, consciously, that this is the real reason. But we know different, that he was compelled to do it because the hypnotic suggestion was firmly planted in his subconscious. The implications of this for ordinary behaviour are extraordinary. Despite our reasoning, how do we know if something is coming from our conscious, or subconscious minds? 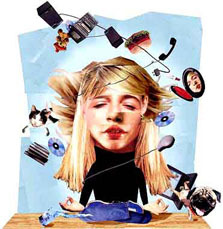 In normal life, the same process of compulsive behaviour patterns occur all the time. They are developed through subconscious associations and influential suggestions. People consciously explain behaviours as if they are choosing them, when in fact they may be subconscious compulsions. And they are indicated, just as with phobias, by things that clearly don’t make sense. What’s really interesting is realising how subconsciously determined most of our behaviours really are. It’s a very difficult thing to grasp, because when you start considering it, a lot of things that are taken for granted or assumed about behaviour begin to unravel. The great thing about compulsive behaviour generated by the subconscious is that it can be used to your advantage. How about being compulsively positive, or compulsively successful? Perhaps a compulsion to not smoke, or to be confident? This is where the hypnotic suggestions of directed hypnotherapy can be extremely beneficial. It seems to make sense to program your subconscious in a way that suits you, rather than let everything else in the world do it for you! 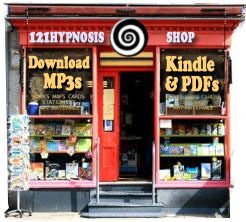 What is hypnosis controlling for you? hey i would like to purchase a session. I was wondering how long it takes to recieve my recording after i order it, i know exactly what i want already, as i have studied self hyp before and know the proper way to record suggestions. also do u make them in mp3s ready to download straight away instead f watiing for the cd, as i would like it asap. You raise an interesting point. I think many people link hypnosis to stage hypnosis in their minds and thus are expecting some sort of unconscious or out of body experience. Of course this isn’t true, a hypnotic trance is a naturally occuring state of mind that most people slip in and out of on a daily basis.